Rowing is a terrific aerobic sport that is a highly aesthetic experience, involving fast fluid motion, cadence, rhythm, and balance. It’s a sport where no one sits on the bench and teamwork rules. At any stage of life, if you are looking for an activity that offers lifelong fitness and boosts your self- confidence, rowing will provide that and more. Rowing gives you a full body, low impact exercise that is as challenging as it is beautiful to watch. Rowers not only improve themselves physically and mentally but also gain a different perspective. They appreciate their waterways, their environment. North Jersey Rowing is collaborating with Highland Rowing Center on its mission to open up recreational and competitive rowing to as many people as possible so that many can enjoy the many benefits of rowing here in the northern part of the Garden State. North Jersey Rowing operates from the launching site and docks at Highland Rowing Center. Free of motorized craft and protected from winds the Monksville Reservoir provides an ideal rowing venue, a pristine 4000 meter body of water free of currents in an area of beautiful natural forests. It is conveniently accessible within ten minutes from Skyland Drive and Routes 287 and 208 in New Jersey and Rt .17 in New York State. North Jersey Rowing is a unique addition to the rowing community in Northern New Jersey. Our full time professional coach, Daniel Udeanu brings quality instruction and training in the sport of rowing with a focus on learning proper techniques and developing rowers who enjoy being out on the water as a crew. Our programming caters to all levels of rowing, including learn to row, junior development, under 23 category and masters. Our programs are composite, open to anyone over the age of twelve through the senior years. All equipment is provided; you just need to bring your desire and will to make this sport your own. Participants in our rowing programs can elect to be competitive or recreational rowers. Training for the spring, summer and fall programs is on the water while winter training is conducted indoors. Whether you are challenged to take up a new sport, returning to the sport you loved in college, seeking to prepare for a step into the national ranks, or just out to have some robust, athletically challenging fun on the water, North Jersey Rowing has something to offer you. You can start at any age and And love a sport that has it all – team, total body workout and mental focus. We are growing our competitive crew and looking for those who are interested in competing in rowing representing our club at regattas to Philadelphia, Princeton and other locales. Our competitive team is open for new participants for each of our competitive seasons, spring, summer and fall with in door winter training mandatory for those rowing in the spring. This is where we train in the winter and foul weather periods. These Orientations and Tryouts are open to all, no experience necessary. Consider rowing as the ultimate training sport – aerobic, low impact yet incredibly exciting sport that is the ultimate team sport. Our mission is to offer quality instruction from the beginning so that you can have a solid foundation to compete if you chose to do so. Rowing is a sport that gives back to those who put in the time and miles to be the best. We are open to all who are committed to focusing on this sport and enjoying it throughout their lives. As a club rather than a high school team, North Jersey Rowing is open to those looking to row competitively on the high school level. We offer our Learn to Row to rising eight graders through seniors in high school. 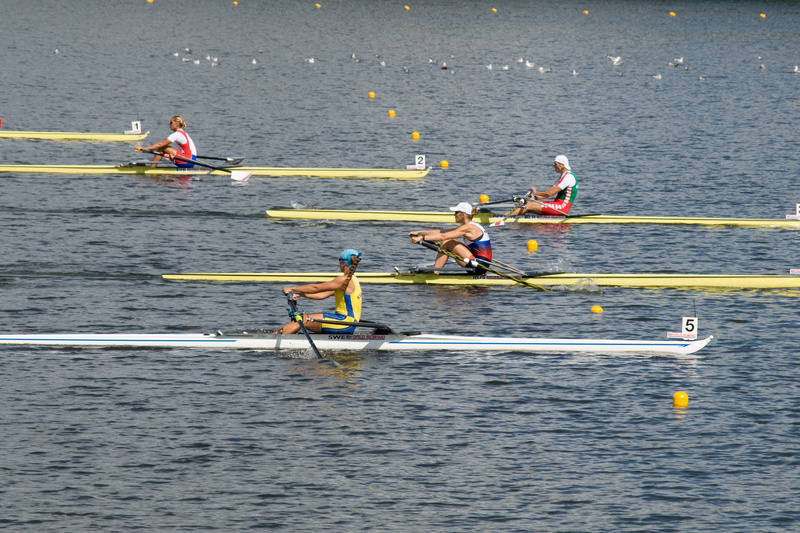 We focus on sculling in singles, doubles, and quad. We also introduce sweep rowing once you learn how to set the boat. As you may have noticed, our site is under construction. We’re adding more great content every day, so keep checking in to learn more about classes, course descriptions, and more! In the meantime, if you have any questions, feel free to email us, and we’ll get right back to you.